The All I Wanna Do singer opened up about the emotionally challenging time for a Facebook Live interview with Entertainment Tonight while promoting her new album, Be Myself, explaining that she almost lost her faith in humanity. 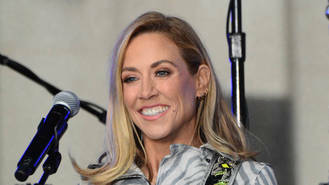 The Grammy Award-winning country star ended her engagement to disgraced cyclist Lance Armstrong in 2006, and recovered from breast cancer not long after. "About 11 years ago I had a really big, public breakup and a breast cancer diagnosis all in the same week and that was really hard," the 55-year-old recalled to the news outlet. Sheryl found it hard to deal with both issues in the glare of the media spotlight, but got through the tough time by “learning how to be in it” and not trying to distract herself by keeping busy. “I didn't make a record, I didn't go to recording, I didn't sit down and write songs, I just thought, 'You know what? I'm just going to be in it until I'm not in it anymore.' And then one day I woke up and it was over,” she shared. The turning point came when Sheryl made a decision to up sticks and move to Nashville, country music's ancestral home. In 2007 soon after completing her breast cancer treatment, the singer/songwriter adopted son Wyatt, now 10, and seven-year-old Levi three years later. But while she is currently single, she explained that having her sons helps to "weed-out" the non-starters in the dating pool. "Having two kids, it creates a strong weed-out process. You know pretty quickly if this is somebody that you're going to want to be around your kids," she smiled.